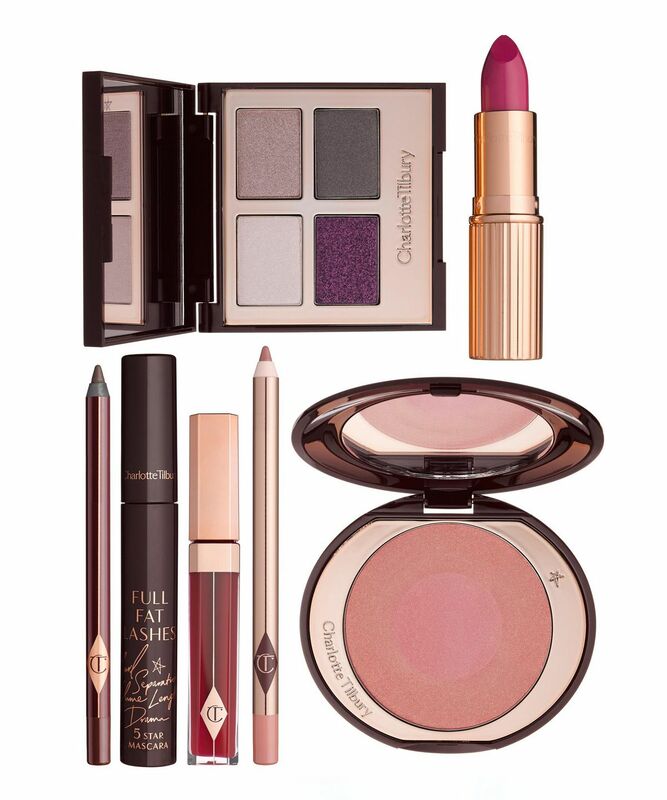 The perfect way to instantly upgrade your make up wardrobe, this decadent collection contains everything required to create Charlotte Tilbury's stunning 'The Glamour Muse' look (inspired by Studio 54 sirens like Bianca Jagger, Jerry Hall and Grace Jones). Unleash your inner supermodel with this comprehensive edit of eye-, lip- and skin-enhancers, housed in a beautiful gift box with signature, 'kiss print' pouch to transport all your new make up must-haves. 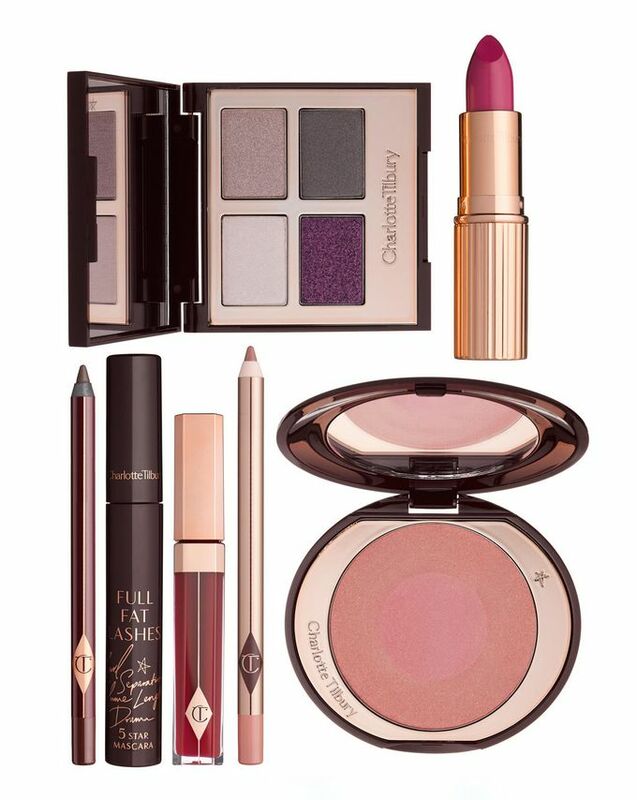 The queen of ravishing red carpet glamour, Charlotte Tilbury is known for creating a host of stunning looks, guaranteed to bring the ‘wow factor’. To help you achieve 'The Glamour Muse' look, this exquisite kit contains Charlotte's sumptuous, Luxury Palette of shadows in 'The Glamour Muse', together with her foolproof liquid liner, The Feline Flick in 'Panther' and award-winning Full Fat Lashes mascara in 'Glossy Black'. To grant cheeks just-pinched prettiness, there’s Cheek To Chic blusher in 'Love Glow' and to create an immaculate pout – her holy trinity of lip treats: Lip Cheat lip liner in 'Pillowtalk', K.I.S.S.I.N.G lipstick in 'Velvet Underground' and Lip Lustre gloss in 'Candy Darling' – all housed in a pretty 'kiss print' pouch. See Charlotte's step-by-step tutorial to learn how to create The Glamour Muse look. Legendary Palette in 'The Glamour Muse', The Feline Flick in 'Panther', Full Fat Lashes in 'Glossy Black', Cheek to Chic in 'Love Glow', Lip Cheat in 'Pillowtalk', K.I.S.S.I.N.G in 'Velvet Underground' and Lip Lustre in 'Candy Darling'. Please consult individual products for complete ingredients listings.